We are a newly-found, friendly, and welcoming community fused together by the Warrior Cats series by Erin Hunter. We are a free and kid-friendly site, open to all ages and types. We have an organized system and board and we encourage you to check it all out! Eternal Paws is now looking for Staff! If you think you're up for it, go for it! It's Newleaf! Frequent floods and storms and warm breezes reassure the Clans as the last of the icicles finally disappear. Be expectant of much rain, warm weather, and humid air! Here, you may introduce yourself to the other cats! 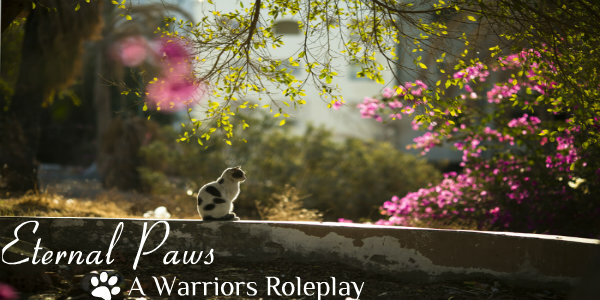 Need the latest Official roleplay news? Get the latest news on the Clans, events in the Official Roleplays, etc. Spend your Fresh-Kill on cool prizes and rewards! Have a way to improve the site? Suggest it here for the Staff and other members to see! Make your character, customize it, and roleplay! 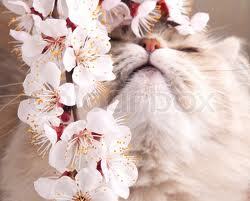 Here, members can post pictures of cats for others to use! Roleplay scenes within your Clan! Roleplay in specific places in the territory! Make a roleplay about exploring new lands, have a roleplay meeting your mate, etc.! Advertise your own website! Please, please, read the rules before you post here! Here, you can share art, fan-fics, youtube videos, and whatever else to the other members! » Getting a high rank?